The decade-long friendship between Priscilla Bel and Pete Wason sparked a musical collaboration that is as rich with harmonies as it is with meaning. 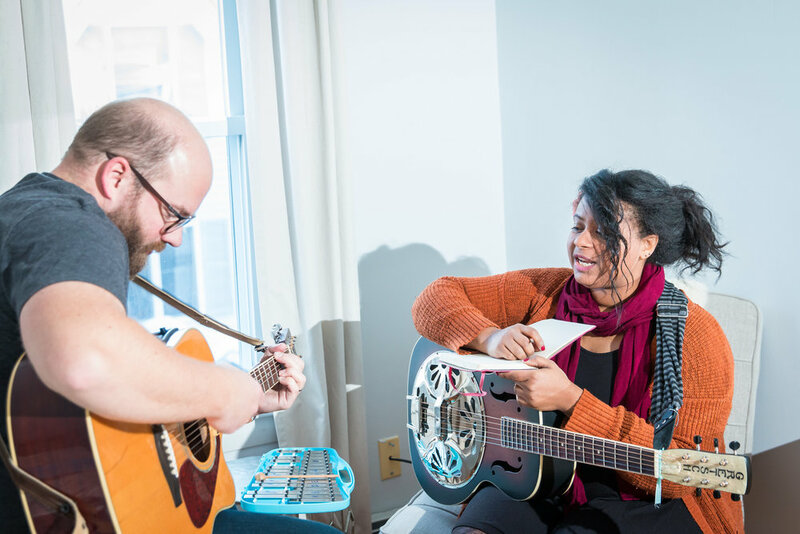 After playing together in various bands and touring the New England area, the two friends sought out a way to create music that expressed their own creative styles. In May of 2017, the two released a self-recorded EP called Sink In. They entered the doors of Plaid Dog Recording in December of 2017 to record a single called "Isabel" now available for streaming on YouTube. Priscilla's songwriting is influenced by tastes of folk, electronic, acoustic, alternative, and pop. Her voice carries sweet and unconventional melodies with an underlying power and rawness. Her poetic lyrics plant poignant metaphors reflecting spirituality, the human experience, and human relationships. Pete, principally a drummer, grew up listening to the great rock bands of the 70s and 80s hair bands. He states influences such as Muse, The Police, and Bastille when adding his touches to Banded Starling's sound. Together, they create multifaceted music, at times poignant, at times heart-thumping, and almost always fun. Their hope is that their music energizes, moves, and inspires their listeners to enjoy the full experience of life. These tracks serve as a sampling of singles from the duo’s debut EP Sink In. The duo’s sophomore album is set to be released in 2018. "Banded Starling [creates] elegantly shaped and well crafted folk with a timbre so unique, it's captivating. Their debut album plays with the motif of life and its ever-changing cycle through emotional balances and imperfections. The group gathers its experience from and is based in Southern New Hampshire and the dynamic transitions life has within these borders. The dueling vocals between Priscilla Bel and Pete Wason really remind me of such great acts as the Civil Wars with a taste of a Devendra Banhart. The innocence and beckoning of their melodies and lyricism gravitate this album to new heights, a must for anyone who loves good songwriting." "A decade long musical partnership has given way to an intimate debut EP brimming with heart. 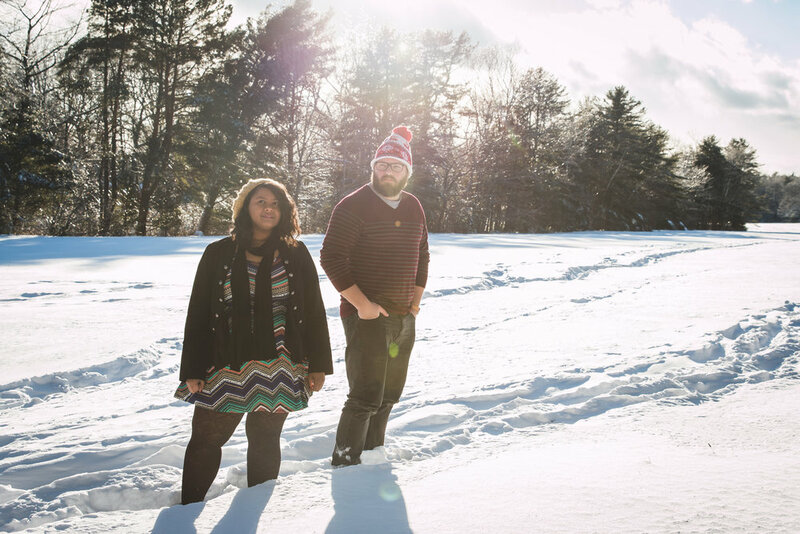 Sink In fits comfortably into the rich indie/folk tapestry of New England with soothing vocal melodies and tastefully orchestrated instrumentals. We're excited to see what the future holds for these two storytellers."